Another large, notable hedge fund has halted (temporarily) redemptions from its fund. Pardus Capital Management manages around $2 billion dollars. The good news is that the fund doesn't use any leverage, which means that they won't be forced to exit any of their "sizable" positions over a short period of time, incurring even more losses. The bad news is that the value of some of Pardus' biggest holdings are dropping precipitously in value. According to the Wall Street Journal, Pardus has a particularly large stake in French car-parts maker Valeo SA. This stock is the largest holding of Pardus Capital Management LP, and it is down over 40% in the past year. 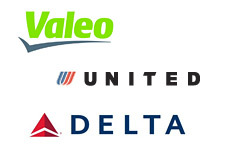 Pardus also owns significant stakes in Delta Air Lines and UAL Corp as it attempts the two companies to consider a merger. The problem, again, is that these two holdings have dropped significantly in recent months. UAUA (UAL Corp.) is trading at a current price of $21.53, which is down sharply from the $40 that it was trading during the early days of February. Delta Air Lines is the same story - the stock was trading around $18 at the beginning of February, and now it is trading at $8.60. According to the WSJ, Pardus is down 40% from its high-water mark in 2007, which is a crushing loss for a multi-billion dollar hedge fund. As mentioned, Pardus doesn't utilize any margin in its fund, which is good news for its investors and the companies of which it owns shares. They are halting investor redemptions so that they won't be forced to "bail out" on any of their positions. The fund will apparently slowly sell some of its positions over the next couple of years to satisfy investor redemption requests.